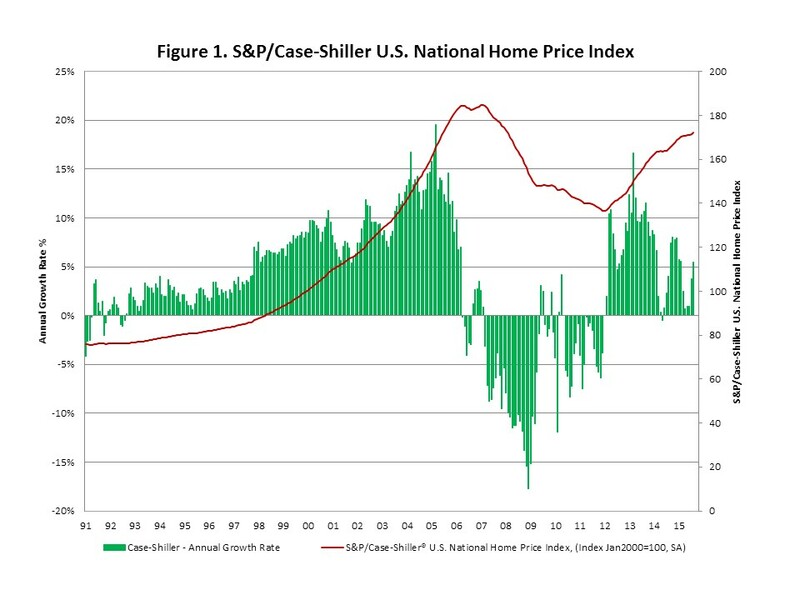 S&P Dow Jones Indices released the August results for the S&P/Case-Shiller (CS) house price index. The index shows that house price appreciation accelerated to a seasonally adjusted annual growth rate of 5.4% in August, continuing its recovery from a late spring/early summer slowdown. After recovering from the boom and bust, the growth rate of the CS price index climbed back to double digits in 2012 and 2013. Since then price appreciation has trended down to more sustainable levels. There are two notable exceptions to that downward drift. Sharp decelerations, one in early 2014 and one in early 2015, were associated with the two sharp declines in existing home sales (last month blog). The one in early 2014 was in response to the interest rate spike in 2013, while the one in 2015 was due to the harsh winter weather in early 2015. The August reacceleration represents a correction from the most recent sharp downturn and a return to the downward trend leading to more sustainable levels. 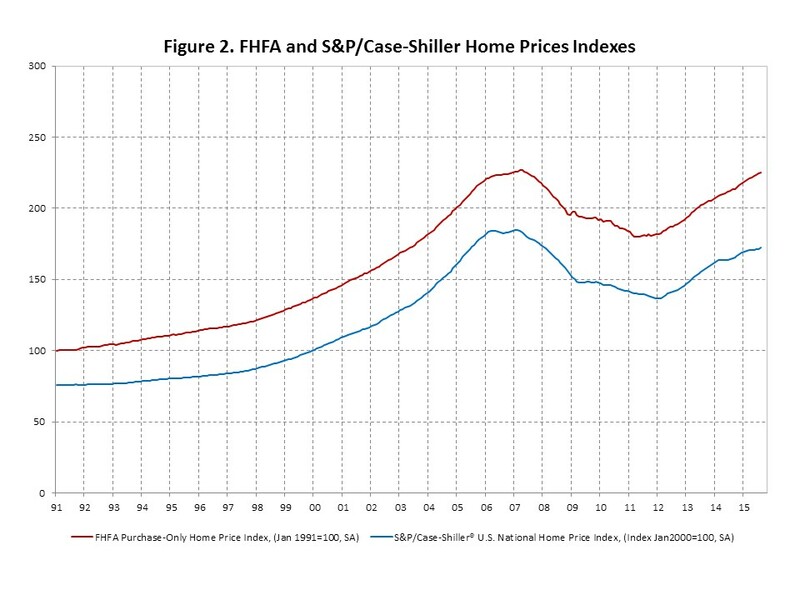 Growth rates in the home price index reported by the Federal Housing Finance Agency (FHFA) have been more erratic in recent months. The FHFA home price index slowed to a seasonally adjusted annual rate of 3.3% in August, following a pace of 6.2% in July. Growth rates from the FHFA and CS price indexes don’t always track closely month by month, but the index levels tell essentially the same story over longer periods.